Our congregation was founded in 1909. Our members are part of a progressive, liberal religious tradition called Unitarianism that began in the 16th century. We promote a non-dogmatic exploration of spiritual, intellectual, and ethical growth. 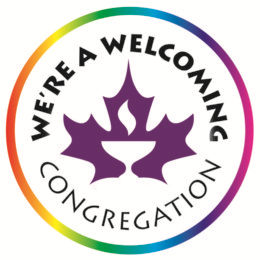 Our community has served the greater Vancouver area through advocacy for peace, social justice, civil rights, environmental stewardship, education, interfaith dialogue and diversity, and through commitment and support for women’s issues and the LGBTQ+ community. The first Unitarian service was held at the Maple Leaf Theatre downtown on Granville Street in early 1909. The service was conducted by Dr. Wilbur, Principal of the Unitarian Pacific School for the Ministry at Berkeley, California. A little later a small group of enthusiastic people decided to organize a congregation. The first regular service was held December 19, 1909, in the Lester Court building at the corner of Davie and Granville. The congregation built its first building, completed in 1913 at Granville and West 10th Avenue which was then on the outskirts of the city. The building was the congregation’s home for the next fifty years. The American Unitarian Association, now the Unitarian Universalist Association, in Boston, and the General Assembly of Unitarian Churches in London assisted the church financially. They continued to provide financial assistance until the congregation became self-supporting in the 1960s during the ministry of Reverend Phillip Hewett. In October 1926, members organized a free forum that held meetings on Sunday afternoons, usually twice a month. This was the first forum in the city that placed no restrictions on speakers, representing Unitarian values in action. Participants discussed a wide variety of subjects and speakers included prominent persons in the community. The forum helped make Unitarians known in the city, but did not bring in large numbers of new members. There were many ups and downs over the first fifty years as this small congregation struggled with the frequent turnover of ministers and membership. At times the congregation went for several years without a minister. Congregational growth failed to keep pace with the growth of the city and in fact fell far behind. Beginning in the late 1950s, the growth rate took a significant upturn. When the Sunday school became so large it was bursting at the seams, the congregation decided to build again. After a five-year struggle with funding, the present campus was finally built and was dedicated in September 1964. Over the years the Unitarian community has been involved in a variety of social action, although the pendulum swings between a focus on education and social witness. 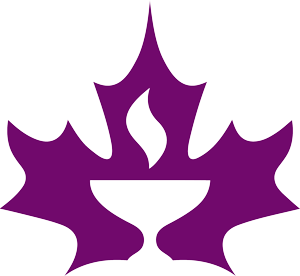 Vancouver Unitarians have been an effective voice in the community. In 1959 the congregation submitted a brief to the Royal Commission on Education in BC advocating that the Lord’s Prayer be dropped from schoolrooms and family-life education instituted. In 1965 we produced a brief on foster childcare, in 1966 on low-cost housing, in 1967 on abortion, in 1968 on marijuana legislation. Requests for these were received from all over the country. In 1970 the congregation supported aid to American War Objectors under the Immigration Act. In 1998 they were voted among the “most beautiful” in Vancouver by a panel of architectural experts. Well-known Unitarians include Isaac Newton, Thomas Jefferson, Benjamin Franklin, Susan B. Anthony, Arthur Lismer, Buckminster Fuller, Tim Berners-Lee, Beatrix Potter, Linus Pauling, Dorothy Livesay, Bela Bartok, T. S. Eliot, and Kurt Vonnegut.